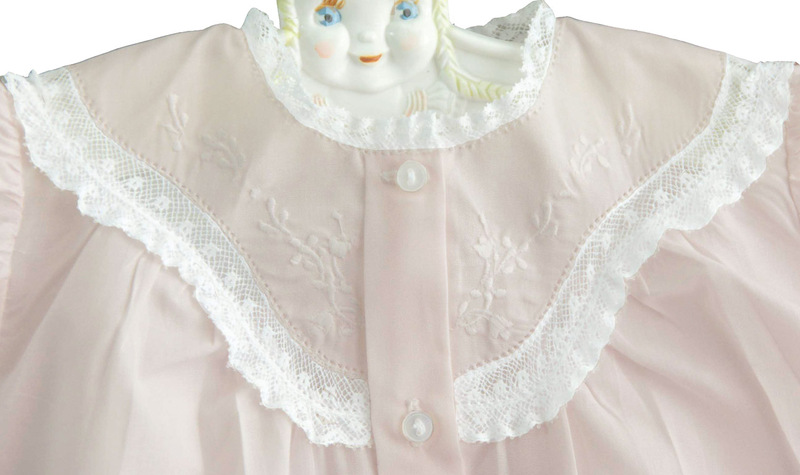 This sweet cotton blend daygown features a beautifully embroidered yoke with lace insertion. 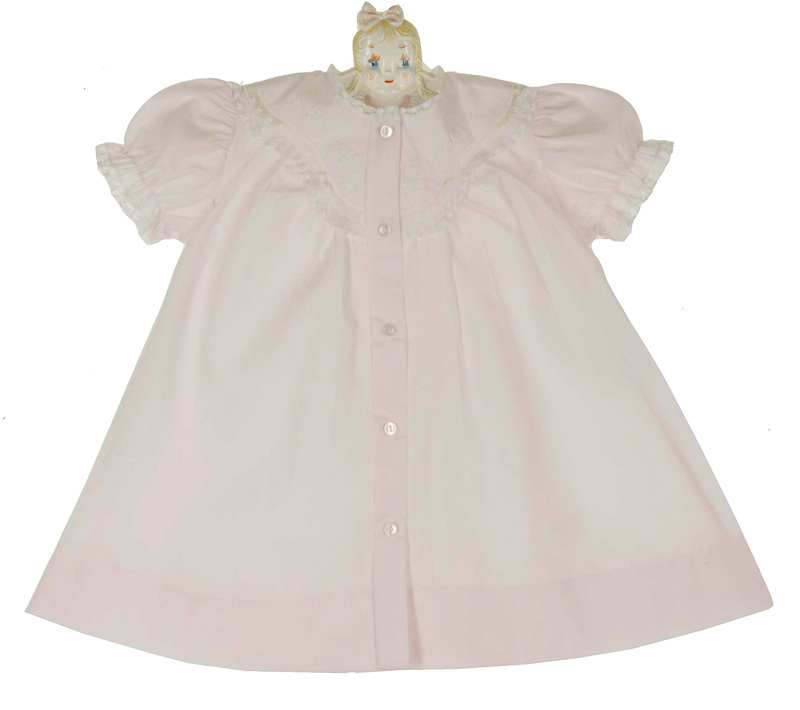 The short puffed sleeves are edged with soft baby lace. 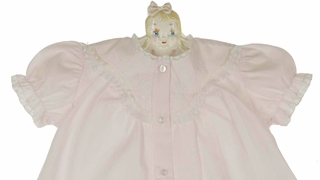 Just darling for a special baby shower gift or gown for bringing your baby girl home from the hospital! Note: This darling daygown is also available in white. See below.